This Starbucks, at Indian Ripple and County Line in Beavercreek, is so new it doesn't show up yet on the Starbucks web site. 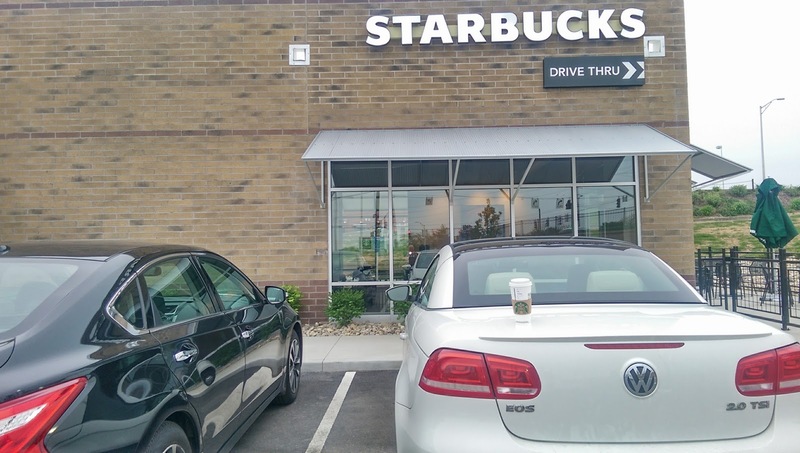 That Venti Dark Roast sitting on the back of our VW Eos powered a morning trip back and forth to Cambridge, Ohio. Give me coffee and I'm a driving fanatic.